My only complaint about an otherwise great book. 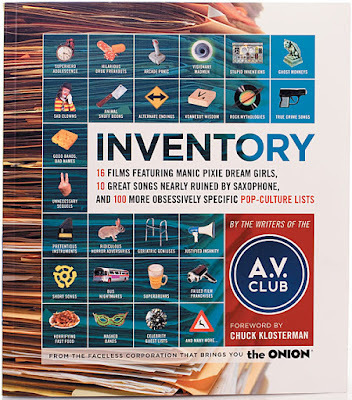 So I've been making my way through the Onion A/V Club's new book of lists, Inventory, which is probably the perfect book if you're the sort of person who enjoys both popular culture and compartmentalization, even if you've read a lot of the lists before on the A/V Club site. 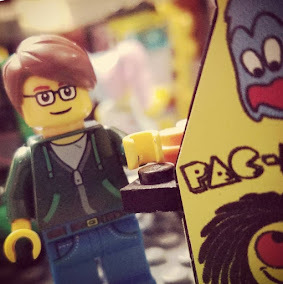 But besides the A/V Club staff contributions, there are a number of lists on various topics supplied by celebrities, too, and here's where things sort of fall flat. A few of these are quite good - Patton Oswalt's list of what he considers to be "quiet film revolutions" is really interesting (but Patton Oswalt talking about movies usually is), and it's hard not laugh at Weird Al Yankovic's compilation of his favorite Don Martin sound effects from MAD Magazine. Most of the celebrity lists, though, are just another chance for them to ply their shtick to the masses. Sure, Zach Galifianakis list of favorite fax numbers is kind of funny, not so much because they're all blanked out with a giant "REDACTED BY PUBLISHER" stamped across the page, but because it's probably safe to assume he submitted an actual list of fax numbers he knew wouldn't actually be punished. But the rest just fall flat, like Tom Lennon's fake unpublished Tennessee Williams plays, or yet another long list of John Hodgman's facts. And maybe it's just me, but Hodgman facts are to today what Rich Hall's Sniglets were to the 80s: funny and clever at first, but they get old quickly. This certainly doesn't ruin the book by any means, but I do find it disappointing. These are talented, funny, smart people, and I was generally looking forward to what they had to say on an actual topic of their choosing. There are plenty of other outlets for them to present yet another bit. Missed opportunities abound. Some days you need a little Shirley Manson. A simple list of things I enjoyed in 2009.